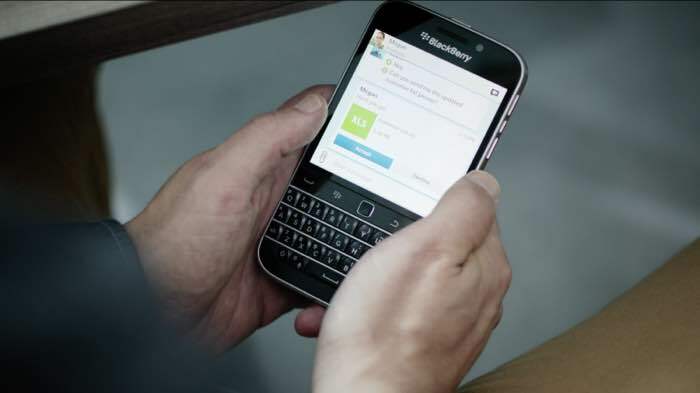 Last year, BlackBerry unveiled their latest imitation of the Bold 990 smartphone, the BlackBerry Classic which features a full-fledged QWERTY keyboard, and features a trackpad. BlackBerry Classic is already available in some markets, and is expected to see the light of the day in India on January 15th. The company has sent out press invites to the media which says, “Join us to witness the unveiling of the new BlackBerry 10 [Serious Mobility for Serious Business].” The invite doesn’t say anything about the BlackBerry Classic, but a BB10 powered smartphone is definitely inbound. As far as the specifications are concerned, Blackberry Classic boasts a 3.5-inch display sporting a resolution of 720 by 720 pixels, and is powered by a dual-core 1.5GHz Snapdragon S4 processor, 2GB of RAM and 16GB of storage coupled with a microSD card slot for expansion. There’s an 8MP camera on the back for photos and videos, as well as a 2MP front-facing camera, WiFi, Bluetooth 4.0, a 2,515 mAh battery and runs Blackberry OS 10.3.1 out of the box. The event is scheduled for next week, we’ll update you as soon as its pricing and availability details are official. Stay tuned.